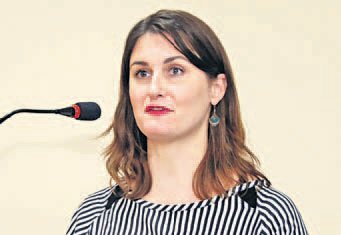 Speaking at the inaugural ceremony, Robin Cathey, English Language Fellow from the US said Hyderabad is an incredible place with a wide range of diversity in every sphere of life. Hyderabad: An eight week course in communication skills in English has been inaugurated at Maulana Azad National Urdu University which is being offered in collaboration with the US Consulate General, Hyderabad. Speaking at the inaugural ceremony, Robin Cathey, English Language Fellow from the US said Hyderabad is an incredible place with a wide range of diversity in every sphere of life. She spoke about course details and said special attention will be given to pronunciation. Akash Suri, acting Public Affairs Officer, US Consul General, Hyderabad described English as the real key to success. Appointment of English language fellow is a valuable opportunity for MANUU students, he said. Dr. M A Sikandar, Registrar, MANUU in his address highlighted the importance of soft skills and its direct connection with employability. Prof. Shakeel Ahmad, Pro VC described the communication skills as the need of the hour.